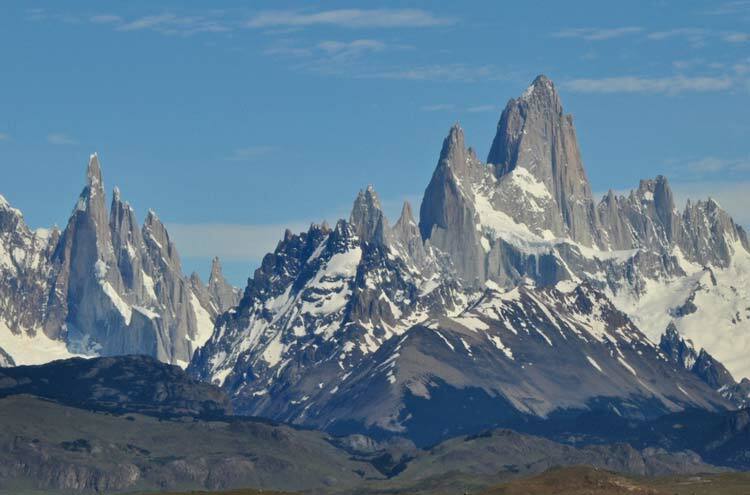 The Torres del Paine of Chile, and the Fitz Roy Massif of Argentina, are geologically similar and geologically astounding; and, geographically, next door. 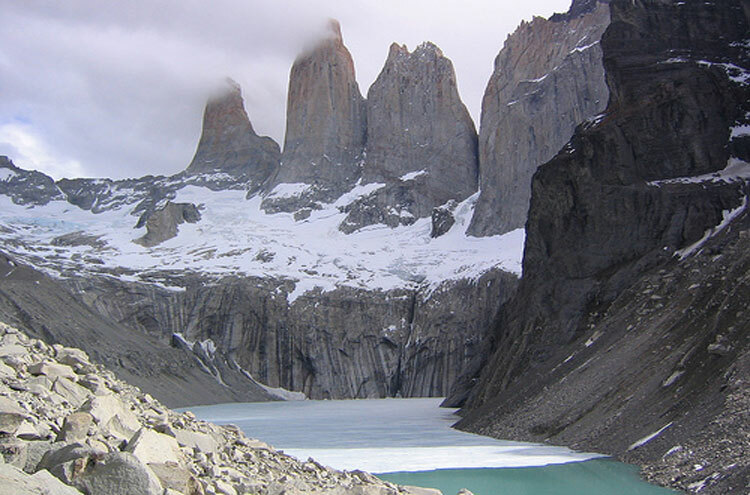 Incredible, iconic spires of heavily eroded granite surrounded by the glaciers, lakes and forests of Patagonia. Superb walking into the heart of these magnificent areas. A surprising variety of flora and fauna too, considering these regions' frigid and often bare moonscapes: Magellanic forest, llama-like guanacos, condors, the occasional puma, and the 1.5m tall rhea (of the ostrich family). This is wild, remote country. While you will be inspired by nature's harsh beauty, you need to be well prepared. The weather, particularly in Los Glaciares National Park, can be horrible. Note: Neg: likely bad weather. Consistently bad weather in Fitz Roy. 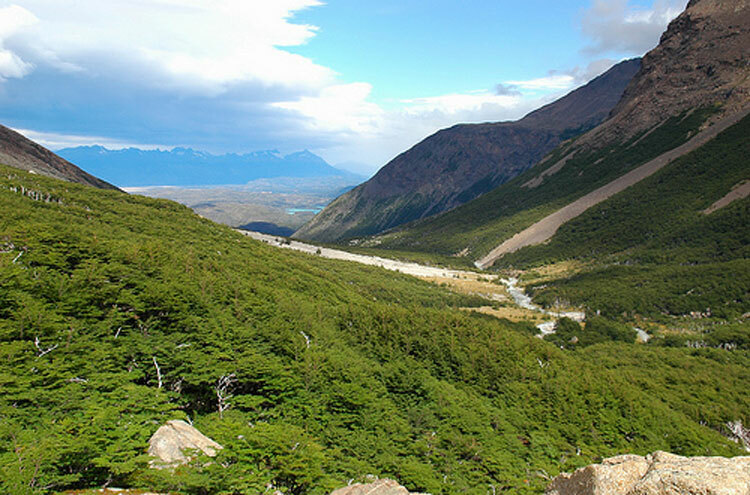 Both Chilean and Argentinean Patagonia demonstrate the full scale and drama of the South American continent, narrowing to the sea at Tierra del Fuego and the notorious Cape Horn. Between them the regions present a modern ice age, replete with calving glaciers, frigid lakes and rough-hewn towers of striated rock. 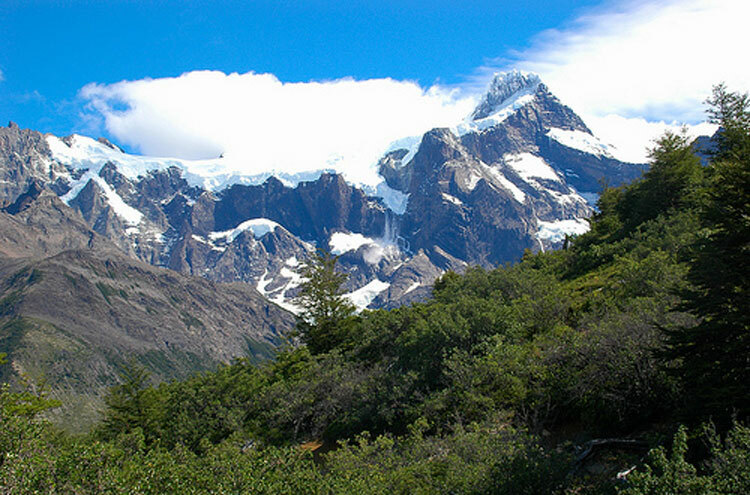 Chilean Patagonia is perhaps the nation's most famous region: some claim, given Chile's other wonders. Cut off from the rest of the country by impassable mountains and violent storms, only by air or sea or overland from Argentina can you penetrate into this astounding landscape. 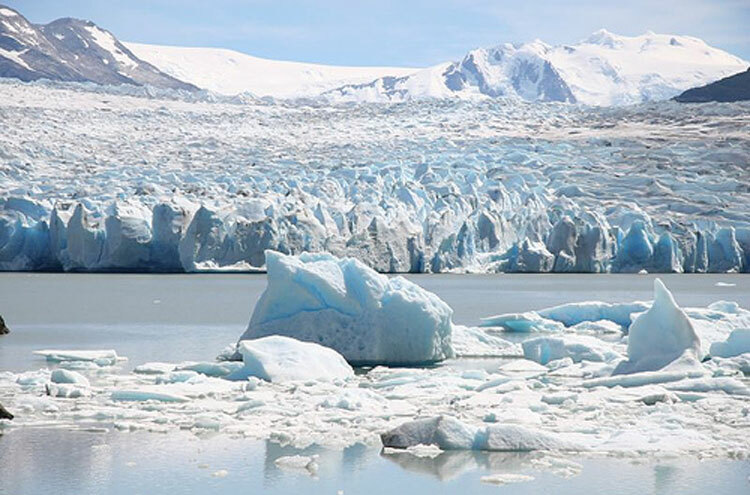 Islands, glaciers, icebergs and mountains all vie for fame. It is truly a natural, glacial wilderness. 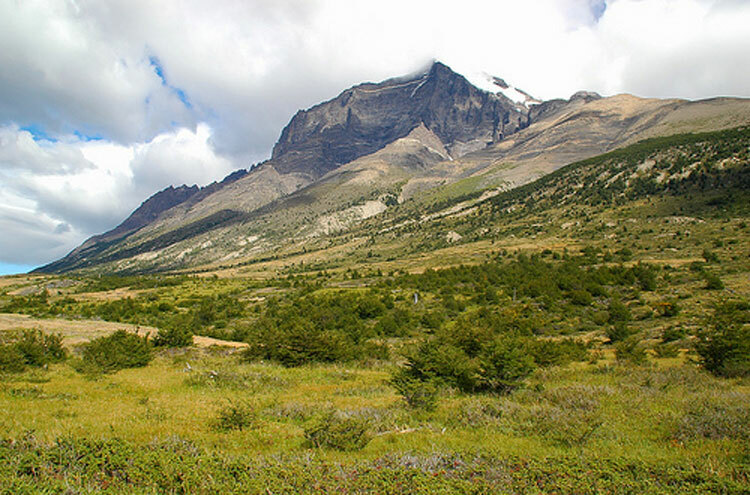 A Torres del Paine hike, to or round the eponymous mountain range at the heart of its National Park (a UNESCO World Biosphere Reserve). 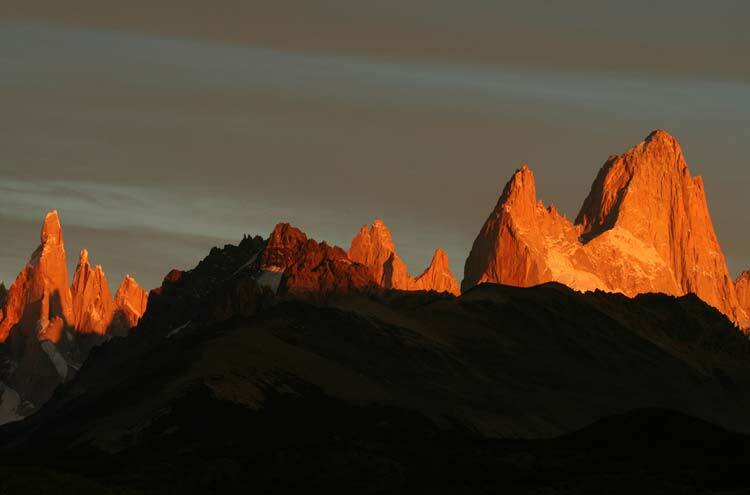 Argentinean Patagonia tells a similarly spectacular story. 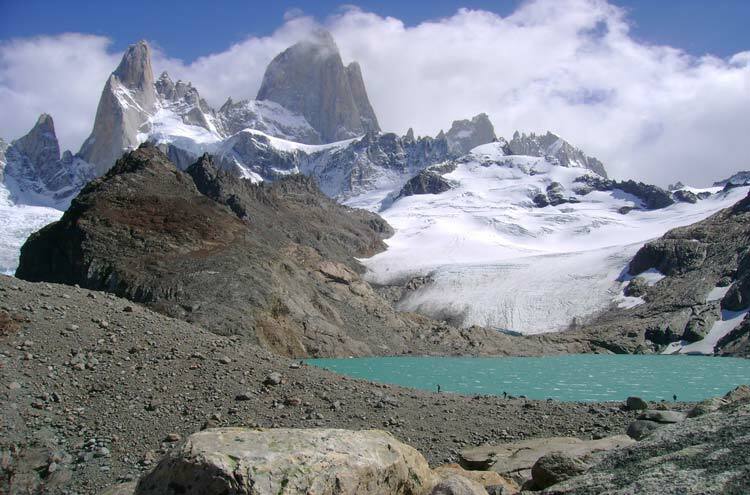 Los Glaciares National Park, which hosts the fantastic Fitz Roy Massif, is a UNESCO World Heritage Site, and at 8,500sq miles, its scale is matched only by its grandeur. Approximately a third of that area is covered by ice-fields connecting over 45 major glaciers. Pristine vistas wherever you turn, and a marvelous variety of terrain, make for breathtaking stuff. 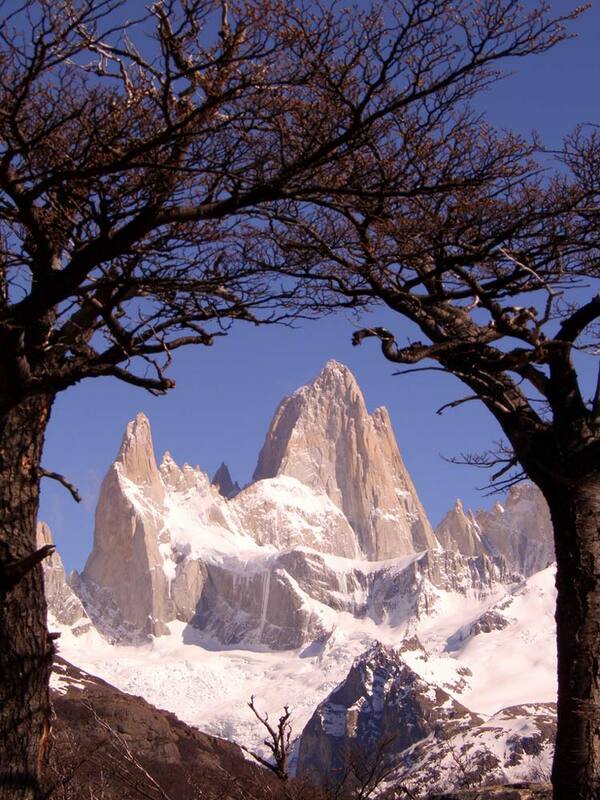 The beautiful Fitz Roy Massif (Mount Fitzroy), standing at 3,405m. Lago Viedma and Lago Argentino, the largest lake in Argentina. 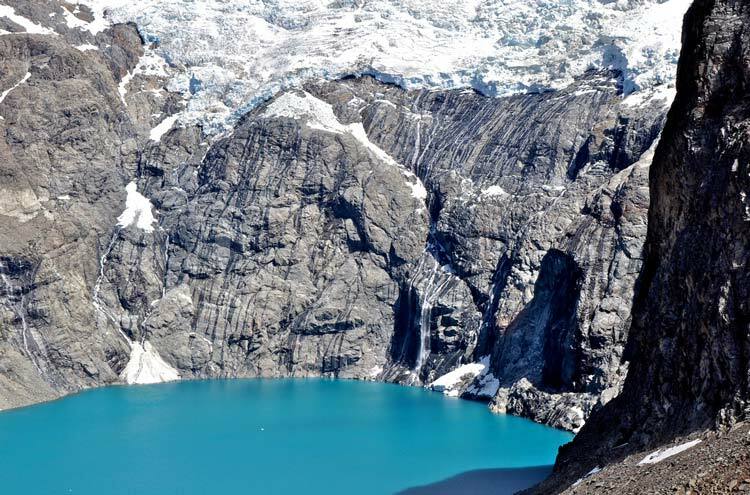 The Perito Merino glacier, regarded as Argentina's most famous and important, which routinely bisects Lago Argentino in its capricious advance. The Upsala and Onelli glaciers (Onelli with its accompanying forest and hidden, mountain-ringed lake). Estancia Cristina, a rustic relic of early 20th Century wool farming. Cascada de los Perros, with views to the daunting Upsala Glacier. 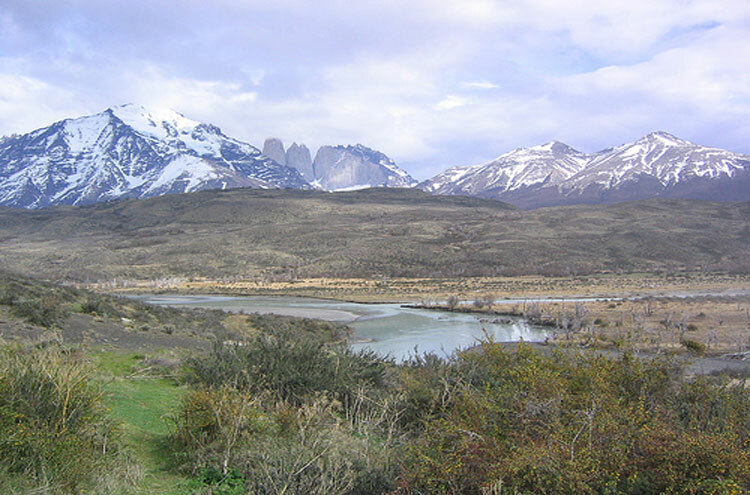 To locate Torres del Paine and the Fitzroy Massif in relation to each other, see here (Fitzroy is nearby El Chalten on the map). Given these walks' fundamental similarity, and the fact that few travellers will have the time and energy to explore both areas, we have combined these areas for assessing our Top 100 walks.